Mancinska, L, Scarpa, G, & Severini, S. (2013). 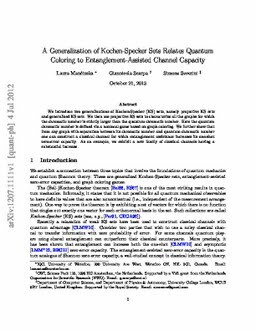 New Separations in Zero-Error Channel Capacity Through Projective Kochen-Specker Sets and Quantum Coloring. IEEE Transactions on Information Theory, 59(6), 4025–4032.